Today is the SEC Championship game, and you know I’ll be cheering on the Crimson Tide with one of my favorite burgers. 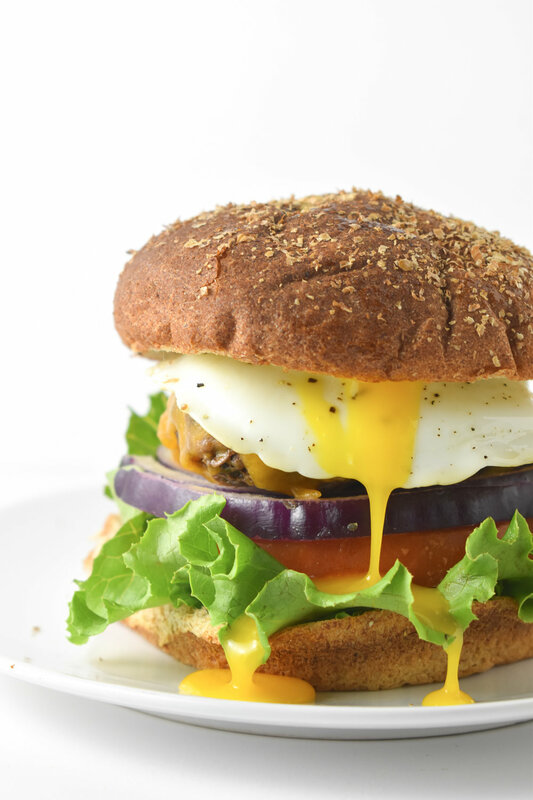 This healthy spin on a Classic Cheeseburger is so good that it will become the ONLY burger you make from here on out. It is delicious cooked on the grill or in the oven, so rain or shine, it will be the perfect entree for game day. Do you remember my Bun-Free Greek Burger? This burger is similar in that you use a combination of pulsed mushroom and ground beef to make the hamburger patty. This helps me to increase my animal protein without sacrificing the moisture in the burger. A little skeptical? Give it a try! I promise you will NOT be disappointed! Place mushrooms in food processor; process until fine crumbles (a little smaller than rice grains). Place mushrooms in bowl; pick out any unprocessed stem parts. NOTE: The water from washing them can leak out during cooking, causing a excess moisture on the pan or grill. It is SUPER important to remove excess moisture of the mushrooms after pureeing them by squeezing it out or dabbing with a paper towel. Add hamburger meat, garlic, salt and pepper to mushrooms. Use hands to incorporate ingredients throughout mixture. Shape into 6 or 7 patties. Grill or bake in oven at 375 degrees for 25 minutes, turning after 15 minutes, or until desired degree of doneness. Serve on a toasted whole-wheat bun, top with lettuce, tomato, onion, ketchup, and/or any toppings of choice.